Liberian-born international recording artist, Jaway, has released his highly anticipated debut album, Decontee, which means “there is time for everything,” and his new single – Jaway. Both are available at iTunes, Amazon and Audiolife, and Amoeba Music Store in LA. “I feel like a man who has just fathered twins,” said an elated Jaway, as he reflected on November 1, 2010 – the birth date of his musical children. The album, a literal catalog of inspirational and feel-good songs, reflects the artiste’s experiences growing up in Liberia, West Africa. The 2009 LEA (Liberian Entertainment Awards) Artist of the Year, Jaway, also sees his musical creations as mere tools that are used in a pleasing and positive way to bring awareness to what is going in the world.“I want to create music that is universally accepting with clean lyrical content and a message that will inspire and motivate people,” said Jaway, who believes it is his business to create music that is both lyrical incline, informative and positive, melodically soothing and catchy, and musically pleasuring to the ears, mind, body and soul. ‘Liberia’ is the first song Jaway wrote on the album, but it somehow had made way for the title track and featured single, Jaway. “I guess it sums me up very carefully and could easily be my musical alter ego,” said the artiste, born and raised in Monrovia, Liberia by a single-mother and grandmother. “I hope everyone who listens to songs on the album will benefit by learning from my life experiences as a very young growing man in Liberia and surviving a brutal civil war that ravaged my country for 14 long years, and set us back 50. They will get to know how music helped me through those horrible years as a young man and thought me so much value,” said Jaway, who has emotions and feelings so strong and deep within and has done his best to reflect that into his debut album – Decontee, which means there is time for everything, in his tribe – Kru as well as his new single- Jaway. 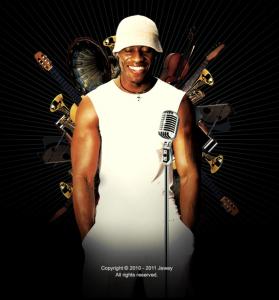 For further information, please visit the Jaway’s website at http://www.jawaymusic.com or email him at jaway@jawaymusic.com. ← JAMAICA’S PRIME MINISTER BRUCE GOLDING ADDRESSES NATION IN PREPARATION FOR TROPICAL STORM…TOMAS!